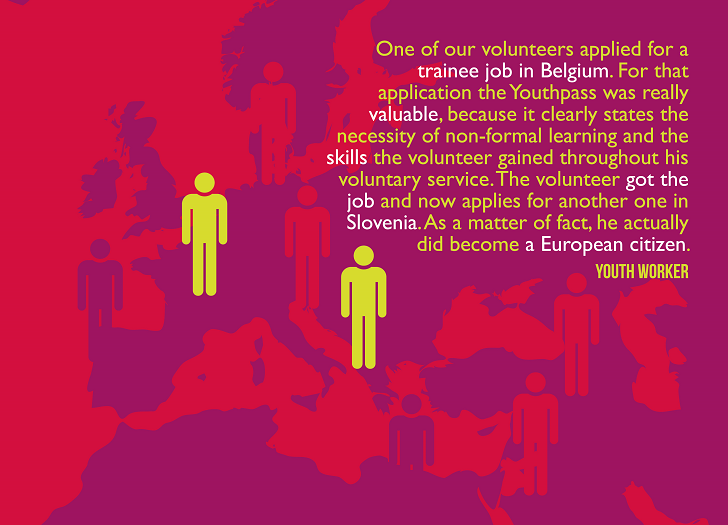 YouthPass is a certificate created by the European Commission as part of its strategy to foster the recognition of skills and competences developed through non-formal learning. It was used in Youth in Action projects as well as now in ERASMUS+/youth projects as a means to document the competences developed within a specific project, be it youth exchange, training course, or EVS, as well as to certify a person’s participation in the project. The YouthPass is based on the 8 key competences in lifelong learning, as they were defined in the Recommendation 2006/962/EC of the European Parliament and of the Council of 18 December 2006 on key competences for lifelong learning [Official Journal L 394 of 30.12.2006].